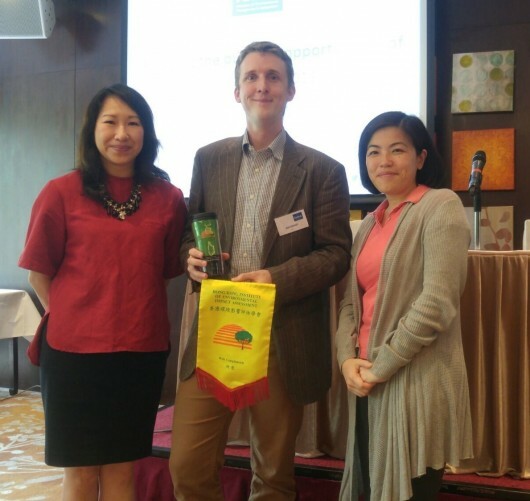 On Saturday 7th May, sustainability professionals in Hong Kong attended an exclusive workshop organized by the Institute of Environmental Management and Assessment (IEMA), the Hong Kong Institute of Environmental Impact Assessment, and the Hong Kong Institute for Qualified Environmental Professionals. The session, titled ‘Realizing the Business Opportunities of ISO14001’ was led by Josh Fothergill, Policy Lead of the IEMA. Headquartered in the UK, the IEMA is the world’s leading membership organization for sustainability management professionals. During the workshop, Fothergill also introduced the Islamic Reporting Initiative (IRI), which is established to lead the creation of a reporting framework for Corporate Social Responsibility (CSR) based on Islamic principles and values. In doing so, he highlighted the importance of implementing CSR in a way that is locally relevant. The IRI recognizes and builds upon the unique harmony between Islamic principles and values as an essential part of corporate culture, and the objectives of CSR focusing on ‘People, Planet and Profit’. The seminar was of particular interest to practitioners involved in the planning, implementing or supervising of ISO14001:2015 transition, as well as ISO14001:2004 auditors looking to convert to ISO14001:2015.